Jordan: Social media engagement. Every marketer wants more of it but if you ever found yourself writing messages only to have them float into empty space with a little, if any, engagement, you’re not alone. There’s got to be a better way to consistently write messages that win likes, comments, clicks, and shares. It turns out that CoSchedule’s own Nathan Ellering cracked the code. Nathan is the Head of Demand Generation here at CoSchedule. After conducting a massive study, he found specific things that can actually predict the success of every social message you write before you even hit send. This means knowing things like which message type will get the most engagement across every network or how many characters should your messages be, how many hashtags and emojis should you use and even what emotional sentiment will play best for your brand. Imagine if you knew the answers to those questions. What would it mean for your brand to increase your social media engagement faster than it takes you to drink your morning cup of coffee? I’m Jordan from CoSchedule. I want to know the answers to these things too, so let’s chat with Nathan and learn exactly how to get it done. Hey Nathan, thanks so much for being on today on your own podcast and letting us turn the tables on you. Nathan: Jordan, I want to say thanks for being the one who’s going to do this interview. I’m pretty excited about it today. Jordan: I can’t wait. I know it’s not just me but I’m sure our listeners are going to be really interested in hearing more about what you have to offer and about what you do here, what CoSchedule’s up to. Why don’t we kick it off with that? Why don’t you give us a scoop on CoSchedule and tell us a little more about all the things that you do here. Nathan: Yeah, definitely. CoSchedule itself is the bestselling marketing calendar in the world, which is pretty fun to be part of the marketing team that leads that charge. CoSchedule is a marketing project management tool that combines with social media scheduling. You can start with your content and follow it all the way through that workflow, comes complete with task templates or workflow management too so you can easily assign tasks out to your team. Something that’s fun that we hear all the time is that marketers are using CoSchedule to get organized, to finally see everything that they’re working on in place. It’s that place to go to collaborate. That’s what we really want to see with CoSchedule is like any marketing project that you take on, CoSchedule is the first place to go to kick off that project. What we found is that CoSchedule is the best place to go to, to manage the workflow behind the scenes to help you hit every single deadline. For anyone who has been listening on this podcast for a long time, you guys know that I love this quote but plan your work and then work your plan. CoSchedule helps you do both and that’s why I like to go back to that all the time. Speaking of me personally, I’m the Head of Marketing Demand Generation here at CoSchedule and that really means a lot of things but what we really focus on on our team is creating content so useful that people seek it out on their own. To do that, we focus a lot on SEO or Search Engine Optimization. Finding those keywords that people would be searching for and providing content as a solution to the problem that they’re experiencing to help them overcome a challenge. On top of that, we do blog posts, we do landing pages, we do digital advertising on AdWords and Facebook Ads, we launch courses, we have a marketing strategy course, a social media strategy course and we do webinars and this podcast is part of our content backlog, if you will. We, on the demand generation team, do lots of stuff to try to help busy marketers do their work better. That’s what we’re after, is to help people succeed in marketing and it’s been really fun to be a part of this interesting industry that we’re in, as a marketer to market to marketers. Pretty excited to turn the tables and be the one to actually talk through something that I’m pretty passionate about today. Jordan: Absolutely. I can’t wait. There is so much stuff that is going on. One of the questions you ask a lot of the guests that I think is going to be interesting for our listeners is how many people are actually on our demand generation team? Nathan: We have actually a relatively small team, which may be surprising for some people because of the amount of content that we ship. We publish up to, just blog posts alone, I think eight to nine blog post every single week and we do that with a team of basically two that work on the blog, then we have Rachel who helps us out with digital ads, so Facebook and AdWords, and then Jordan, you’re the newest person on our team. Jordan’s our jack of all trades. We built our team out in core areas of competency to help us with blog management side and with our special projects like courses, webinars, podcasts, maybe multimedia if you want to call it, and then digital advertising. Relatively small team, but doing lots of work. Jordan: That’s the best thing, is even if you have a small team, you can still get huge output. One of the things I wanted to dig in with you this morning is to talk about a big research project you did recently. You researched about 6.4 million social media messages over 11 studies and all to figure out how to write better social media messages. Why did you do that, first of all? Nathan: I guess I’m a nerd so it’s really fun for me to do some of this stuff and we know that our audience really loves data and at CoSchedule, it’s one of our core areas in our standards of performance for content, is well research, and we’re going to get into that in a little bit. Based on what we know about our audience and that they love data is that we should repeat what we know works. That’s a framework that we follow not just for marketing but for everything that we do, is do something once, see how it performs, measure its results, if it was good, do it again. Our audience was literally just asking us about this stuff and we get a lot of our ideas for content that is some of our best stuff from our support team. We know that people just ask this thing, like how long should a message be, what type of message should I send, how do I get the most engagement on this network. We know that our audience is just looking for us to be that credible source of information. They want to rely on us for this stuff. We wanted to know definitively some of the answers to their question. That would be like what type of social media message gets the most engagement for every network? Is it text, is it image, is it link, or is it video? Some of the other things we looked at were character count. How many characters should your social media message be for every single network? What about hashtags? Should you be including them in your messages? There are differences in different networks, even the ones who support hashtags. Sometimes, when you use hashtags, you’ll actually decrease your reach. It’s what we found. You want to be very diligent about where you use hashtags. We looked at emojis too. What networks perform really well when you include emojis in your messages? And then we looked at emotional sentiments. Should you be writing really positive messages, should you be writing negative messages, what performs best? We are looking for the answers to those questions and a lot of times, good content stems from asking a good question. As we’re researching this, we just found that there is a lot of content out there that tried to answer some of these questions, but they actually just referenced the same sources over and over again. There were actually very few sources that had a data set as large as the one that we could get out of CoSchedule. Like you mentioned, 6.4 million messages were something we were able to analyze along with 11 others studies, so 12 total studies. We started questioning the validity of what we were reading and that’s something that I recommend marketers do all the time. For an example, a lot of meta marketers out there who are writing about marketing topics will suggest to you that you should send fewer emails. At CoSchedule, we found that sending fewer emails equate to fewer results. If we send more emails, we will get the same results from every single email that we send. Therefore, if we send more emails, we would boost our results dramatically. We like to send more emails. That’s an example there, is that you should question the validity of the content that you’re reading. That all stemmed into the research that we wanted to do on social media messages and the mechanics behind them. It tied into our blog site of our team, we have a standard of performance I talked about earlier. Number one is that we want to find a topic that our audience truly cares about and by understanding that they were asking this question like what types of message get the most engagement on every network. We knew it was going to be a great topic for them. We started looking at keyword which is the second standard in our standard of performance which is like, how can we make sure that we are writing about something that people are actively seeking out. We started looking at keywords like best tweet length, people search for that all the time, perfect. That’s something that we could now know definitively, our answer is the best one on the internet backed by all these different studies and we have an opportunity to rank for that that gets lots of search traffic not just after we publish this content but it’s an evergreen term now bringing us long term traffic. Perfect. We looked at our third standard of performance which is comprehensiveness and actionability. We wanted to make sure that people could come to us and have the only blog post they’d ever have to read on this topic. That’s comprehensiveness. Actionability is that after they read this, they can go forth and actually take the advice and put it into practice. We made sure that’s optimized to convert email subscribers which is our fourth standard of performance and then the one that we really are going to talk about all throughout this episode today is going to be about research. We wanted to make sure that everything we are writing about was factual, which is why we were questioning the validity of what we were reading because we don’t just want to repeat or rehash what we know is on the internet and we know that original content or original research gets tons of attention, tons of backlinks, tons of mentions, tons of our friends are talking about this thing. That’s really why we wanted to do this original research and really figure it out for ourselves. We wanted to be the trusted source of information for this topic. If you want to write a message based on the mechanics of social media, this is the number one source to go to and we wanted to be that trusted source. When you think about trust, this is something that we talk about at CoSchedule all the time. It’s one the oldest marketing quips out there but people buy from people they know, like, and trust and we really thought that being the source for this information would be the best way to be that source that people know, like, and trust so that they could see that CoSchedule as a product is likely just as good as the content that we’re creating. Jordan: That is so phenomenal. I love hearing that and it reminds me of that quote by Sir Francis Bacon, I bet you heard it, it’s “Knowledge is power.” It seems to me like you’re saying data is power. You flipped that into data is power. It’s like we have the ability now, like you said, to question what we read and then actually have the places to go and look at the data and say hey, is this true? Are these assumptions testable? Are we actually operating from what our audience really loves? I think that’s so important for content people especially because we don’t want to create things that people don’t want. That’s the whole goal. You mentioned that our audience at CoSchedule, we love data and we always repeat what works, that’s what we’re always trying to do. Can you tell me more about that? Nathan: Absolutely. Content is data. Every time you ship something, there’s a way for you to analyze if it worked or if it didn’t. If it worked, do more of what works, do less of what doesn’t work. So content is data. When we start thinking through what we wanted to do with understanding the mechanics behind social media messages that get the most engagement, I really went back to some of the earliest research that we did. We did a blog post on the best times to post on social media and it was wildly successful. We knew that people were searching for those terms, that people had those questions. That idea directly came from our support team. Our customers were specifically asking them like, “Oh you have this tool, now I can post to social media about but when should I post?” They were getting that question all the time. We tried to answer that definitively with data. That was wildly successful. We actually built that into a feature called Best Time Scheduling in CoSchedule, which now CoSchedule does it automatically for people, so that’s another cool thing about content being data too. We knew people had this question. We knew this post was wildly successful, so why not take it to the next level and build it into the tool so that people don’t actually have to think about it. Based on that success, the success of the Best Times to Post in Social Media post, we wrote another post, like the Best Times to Send Email, which again, wildly successful. I’m starting to see a trend here, not just best times but data sets, original data. Being that comprehensive source to read one blog post on a topic and know everything you need to know. After that we started researching how often to post on social media. Again, we did the research on that, we published a blog post, wildly successful and then we built that into CoSchedule. You could say, if you want to tweet seven times a day, CoSchedule will do it automatically for you. Instead of having to remember and try to auto schedule it, or schedule it manually, you can just do it automatically in CoSchedule. All those things had been so successful that now, we wanted to research how to write the best social message for every network to get the most engagement. And that’s how this all stemmed. Jordan: Okay, and what did the data say? Nathan: That is a good question. Finding good data starts by asking good questions. We went in with a hypothesis and try to figure out whether or not it was true. Like I said, we looked at other data sets out there, some of our insight corroborated what we are finding but some of our data completely disagreed the other studies. We wanted to give our audience all sides of the story so they can really make up their own decisions and test what might work best for them. That was fun because if you go into data and you just understand the same thing over and over again, then I understand why people seem to reference the same sources over and over. It was really fun to find specifically really big things, and I‘ll know we’ll get into it, that disagreed with other data sets and that’s we are after because then we could present to the internet something brand new, that they had never seen before, something that’s really likely to attract attention. If there’s one thing we know about content that performs well on social media and well beyond, it’s stuff that’s controversial or makes you question a behaviour, belief, or sense of belonging. Our data definitely does that. It makes people question this is what I thought was right and what we actually found is misleading in some ways with some of the data that was out there. Jordan: What’s so fantastic about it is you can actually say these things with a high degree of certainty because you’re coming from data, you’re coming from the numbers. You have all this research, all this data, so what did you do with that research and data? Why don’t you tell us about how you get from now this massive data to making it matter? Nathan: Yeah. We did a lot with it. This is the interesting thing, we’re doing all this research on what are the perfect message types to share on social media, what are the links, what are the numbers of hashtags, how many emojis should I use and beyond. Imagine someone trying to remember all of that, it’d be really, really hard. Something that we think about CoSchedule when we have research like this or even when we have content already out there, it’s a framework that we follow, is maximize what you have. 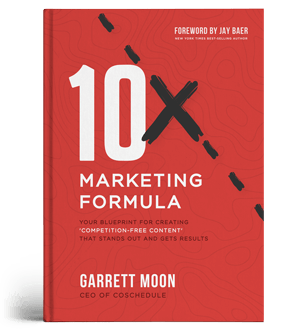 Another thing that we talk about is get 10x results with 10 % of the work. We already have the research. Let’s use it in as many ways as we possibly can. The number one thing that we thought about is creating a hub and spoke model for a marketing campaign and for this data set, we used a hub as our social message optimizer, we actually took all of this data and built a free online tool to share it. That’s on the CoSchedule website at coschedule.com/social-message-optimizer. That’s awesome because what it is, is it takes something that is a pretty complicated topic to understand or try to remember all these things and helps people write messages specifically for each network. Anyway, it becomes our hub. I talked about the hub and spoke model for your marketing campaign. This free tool is our hub and our spokes then going back to this or promoting this, trying to get links back and people attention to this hub, we promote it through blog posts, we promote it through social media messages, we promote it through email, guest post, paid ads, and a whole bunch of other things. We think about making sure that we have one rock and then streams flowing into that rock from anywhere that we can possibly promote it. Jordan: And then we’re using this major asset that’s been created that we know people want and are interested and we know it’s actually helping businesses market better. I think that’s a fantastic thing. I want to go back to something you said, because you’re talking about creating this content that you know people likes repeating what works, building tools that you know people want but you said something interesting. You said solid content always beats solid mechanics. Given the findings from your research, what do you suggest that marketers do with this idea? Nathan: I love that idea. Solid content will always trump solid mechanics. That said, the social message optimizer and all the research that we did is all about the mechanics. What I mean by mechanics is worrying about length. First thing you should really do is worry about the content that you’re sharing. Master social media writing first, then worry about the mechanics. Just because you write the perfect tweet, something that’s 103 characters long doesn’t necessarily mean that you’ll get the most engagement if the message itself isn’t that great. That’s why I suggest that you should start by focusing on what sort of content will likely attract your audience. I really suggest thinking about that like skill acquisition. The number one thing that you can do there is start by brainstorming what you think an engaging message will be, try to appeal to emotion, to humor or something there. Like what would you read? What would your audience read? What would actually attract them? 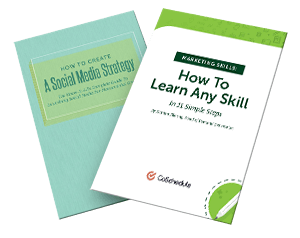 Then hone your core skill behind writing well and afterward, layer in another skill set which will be mastering the mechanics behind writing for each social network with the free tools of the social message optimizer. Jordan: Okay, I’m getting all pumped up listening to this. I’m getting inspired. My question is really, Nathan, I want to be inspired to create epic content too. How do I start? Where do these amazing ideas come from and where do you get your inspiration to create these messages and tools that will get a ton of engagement? How do you go about actually creating them? Nathan: If we’re thinking about writing in general, there’s a lot of copywriting techniques out there that work really well and our blog manager Ben did some great research on these sorts of things that can turn this into actionable like we say write really great content, well what does that mean? Just running through a couple of classic copywriting techniques that work really well for social media. There’s a PAS System or Problem Agitate Solve, that’s an old [00:22:39]. It’s been out here for decades. What it does is that you want to state a problem, your audience probably has no shortage of them, so you state that problem, you agitate the problem or rub salt into that wound and then you roll out the solution. An example might look like something like this. Your car won’t start. You’ve got an appointment in 15 minutes, call cool cabs. That’s the problem, agitate, solve copywriting technique. Another one is bridge after bridge, if you think about this like wouldn’t life be better if everyone just used your product. This kind of technique is all about stating that case to your audience. The first thing you want to do is show your audience what life is like right now. It’s not impressive yet, because they need you to make it really impressive. Next, you would explain how their world could be made better, the secret there is that it involves your product and finally, what you want to do is show them how your product or service can make that world a reality, the better world. An example there would be if we wanted to promote CoSchedule, we could write a social message like this, “Stuck scheduling social media messages manually? There has to be a better way. Enter CoSchedule.” That’s the bridge after bridge approach. Another classic copywriting technique is the AIDA principle. It stands for Attention, Interest, Desire, and Action. The first thing you do is get your audience’s attention that can be with post copy like we’re talking about here about social media writing. You could think about your headline being something that catches attention. Next, you want to stoke their interest so provide some details to get them interested in learning more. Generate desire, next so that’s when you show your reader how much life could be made better if they just took action, which is that last part. Give them a very clear call to action to learn more. An example there would be something like this. 10,000% growth is possible, it can be yours. See how. 10,000% growth is huge for capturing attention, like who doesn’t want that? That’s the AIDA principle or Attention, Interest, Desire, and Action. Another one is the 4Cs, where it’s Clear, Concise, Compelling, and Credibility. Clarity, you want to avoid using complex language. You want to keep it concise which is the second point, which is keep things short and sweet. Compelling is being interesting and relevant to your audience, really understanding what they care about and tying that into the message that you’re writing. Credibility is making sure that you backup your claims and creating posts around topics that you’re really, truly an authority on. An example there could be every project, one tool, see what makes CoSchedule the industry’s best selling calendar. There are actually several more copywriting techniques but those are the ones that I recommend starting with if you’re thinking about just generally speaking how to write really quality messages, those are going to help you get started especially if you’re staring at that blinking cursor. Those will help you get past the writer’s block. Jordan: I love those. Those copywriting techniques are so portable. They work on so many levels and in so many media. But other than copywriting techniques, do you have any more examples of social media messages that people can be confident will get engagement? Nathan: This is another thing that we’ve done a lot of research on. There are few different ways to think about questions or to think about social media messages and I just hinted at this but questions work really well. On social media, they basically help people immediately engage with that message because they answer that question inherently. Something that we found at CoSchedule if you are looking at traffic is that you want to look at using close ended questions in your messages because they get 255% more click throughs. Close ended questions make people basically answer yes or no in their head or there is one or the other sorts of answer. An example there would be: Are you using hashtags like you should be? Either you answer yes or no to that question and guess what, if you say no or if you’re thinking well, I guess I’m not sure and you have a link back to your content and that social media message, it’s very likely to get a click. So are you using hashtags like you should be? If you don’t know, you’re going to click through to read that content. Close ended questions perform really well on social media. Controversy, I mentioned this earlier but anytime you can make someone question a behavior or a belief or a sense of belonging. It doesn’t have to be negative but if you make them doubt something, or question something, it’s likely to be engaged with. An example there would be: Here’s why you don’t need a strategy *insert name of strategy*. Like for CoSchedule, if we wanted to write a message, we could do a tweet or maybe Facebook message like here’s why you don’t need a marketing strategy. That really makes a lot of people question a belief that they need a marketing strategy. Why in the world would they be telling me something that conflicts with that? The only way to figure that out, like what they truly mean is going to be to click on that link and read that content behind that click. So controversy works really well. Anecdotes are another one. Anecdotes are opinions you hold as true but they’re not necessarily backed by any data. An example there would be like: The Secret to blank lies in blank. For CoSchedule, if we wanted to talk about consistency in publishing which is something that we’re pretty passionate about because that’s one of the core ways that we have actually grown our audience to about 200,000 email subscribers and 2 million or more page views every single month. We could do a message around this like the secret to publishing consistently lies in skill building and habits. That’s something that I believe, personally, works really well but it’s an anecdote because it’s worked for us but it’s an opinion that I hold as true. I’m throwing it out there. It’s maybe not backed by data or research but it’s an anecdote. Quotes always work really well. You can also mention influencers or tag them which can help you increase your reach if they just retweet it or if they share it themselves. That’s an excellent way to get more engagement for the content that you’re creating. Try quotes, they’re a very old way of sharing social media messages and they still work. This is probably my favorite one, is the benefits or focus on what’s in it for me? Put yourself in your reader’s shoes or your audience’s shoes and really ask a question like why should I click through this social media post to read the content behind the click? If you can answer that and really, really figure out the how to appeal to their emotional need to learn more, you’ll win. An example there could be like: What if you could save time as you improve your process? That’s interesting because inherently I make two promises to them. Two benefits that they’ll get by reading the content at the click through. I promise that they would save time and that they would improve their process. That’s an example of what’s in it for me. That’s how I build the benefits there. Jordan: That one is so powerful. The with them statement, the what’s in it for me. I think that’s something that you’ve used really, really well. That’s such a great promise to people too, like hey, this is worth your time. It’s funny too because I remember that from when I was a kid. Actually, I remember my dad saying, WIIFM. People always tune in there. That’s just fantastic though because then you’re just saying, “Hey, listen, if you read this, this is what you’re going to get.” You’re not trying to trick anybody, you’re just saying if you think this will be valuable, well then, come on in. I love that and those are really good. Let’s talk just a little bit more about the research as we bring this in for a landing. If you reflect on your research, can we think about it in terms of each network now? Because when we say social media, that means how many different platforms. It’s a grab bag and they’re also different and their use cases are so different. Let’s talk about Facebook first and what did you find to be the best practice for writing messages specific to Facebook? Nathan: I think running through all these, this is going to be a pretty quick fire drill here just to run through all these but if you have a pencil or a notepad out, this would be a good time to start taking notes because when we’re thinking about something like Facebook, the best Facebook message is a link post, it’s about 111 characters long, has no hashtags, even though Facebook does support hashtags, we have actually found that using hashtags in messages decreases your reach which decreases your engagement. The best Facebook messages have one emoji and they have a positive message or a positive sentiment. Nathan: On Twitter, what we’re thinking about is some of the best tweets that we’ve ever seen are image posts. They are ones that are about 103 character long, they have two hashtags, one emoji, and again, the positive sentiment there. Jordan: Okay, give us the scoop on Instagram. Nathan: On Instagram, the best Instagram messages are image posts. They’re about 241 characters long, they have 11 hashtags, and three emojis and again positive sentiments. You’re probably catching a trend here with the positivity. Jordan: Happy thoughts. How about Pinterest? Nathan: Pinterest, the best pins are image posts, no surprise there. Think about 215 characters long on your descriptions, zero hashtags even though Pinterest does support hashtags. There is evidence to show that using hashtags decreases your engagement. Include zero emojis in those messages and again, positive sentiment. Jordan: How about LinkedIn? The suit and tie. Nathan: The suit and tie network, best messages there are link posts, about 149 characters long, positive sentiment again and no hashtag, no emojis. Jordan: Let’s close this out with some insight on Google Plus. What are the best messages there? Nathan: The best Google Plus messages are link posts. They’re about 65 characters long. Actually, the second best type are about 512 characters long. So either you go short or you go long. Make sure you include about three hashtags there, one emoji in those messages and again, positive sentiment. If you’ve learned anything today, it’s that think positive thoughts when you’re writing for social media. People don’t want to go there and just have all doom and gloom. They want positive things. Positivity works well on across every single social network. Jordan: In other words, just smile the entire time you’re writing your social messages. Jordan: That’s success. Let me ask you one final question to cap it off. We talked about so many things with social media, but really if someone’s going to start now and they want to improve even this very day, what’s your best advice to them? If they want to level up their social media skills, where do they start with all of these stuff out there? Nathan: I think that’s a great question and we end every episode with something like that. What’s your best advice for someone just starting? I want to go even beyond social media skills and just when you’re thinking about this. When you want to build any new skill, something that you need to do is you need to do it to learn it. That’s something that a mentor of mine told me a few years ago and basically what he’s trying to suggest there is that don’t let that the fear of starting stop you from starting. You can learn anything, you really can. Humans are amazing creatures who can learn anything and all you need to do is start, ship and commit. A few months ago, I did a lot of research on skill building and specifically how it could apply into marketing and something that I kind of talked through or thought through at that time was that some of the steps that work best for starting something new, building habits to maintain that behavior and developing your marketing skill well, all connect into some of the things that we’re going to talk about right now. The very first thing that you need to do is to spell out your problem. What skill do you actually want to develop or what challenge do you want to overcome. Next thing that you need to do is determine that goal. Literally think through and write this down like why do you want to develop this skill? What’s in it for you to do that? What is that goal? Then you need to explore the forces of change. Really, that’s a fancy psychology term but what you want to answer or the question you’re thinking about there is what will help you develop the skill? What do you have going for you? What positive things would help you make that skill a reality? At the same time you need to think about the forces of resistance. What things might prevent you from developing that skill? I recommend writing all of this down. Whether it’s in Evernote, whether it’s on a notepad, literally writing it down so it’s in front of you. That’s what you need to do at this point. Next, you need to define your strategy to start and this is figuring out the answer to what can you do to acquire the skill with a simple cue, routine, and reward process. There’s a really great book out there called The Power of Habit by Charles Duhigg. To build a habit, you need you a cue, so something to kick off a routine which is what you do and a reward process to help you feel good about what you have done. Define your strategy to start. You can build a habit if you plan it. That’s definitely something you can do. Define your strategy to start then write down that goal and strategy. How can you literally write down your goal and strategy to reference whenever you need it most, which is why I was talking about making sure you have something in Evernote or maybe it’s posted in your office, right on your wall so you see it every day. Something that forces you to acknowledge that you want to acquire the skill so that you don’t just do this or wander through this, you want to actively make this part of your day. Next, you just need to follow that strategy. Stick to it and make sure you’re focusing on building those repetitive behaviors that will help you build that desired skill. Start to crave those results. What feeling do you lust for as you finish up that desired skill, like how can you actually start to crave those results? There’s a lot of research that suggests that you need to believe that you can do it. Believe in yourself. Literally, know that your strategy will work even when you hit a snake. Next, two things that we found from our research is that you really need to just hone that procedure. Remove errors from the process that you’re following and then never stop improving. I think that’s a great way to end this too, whatever you want to do, you can do it, just never stop improving. Process exists as a way for you to avoid making mistakes but it should never just be a process, you should always be improving it. Nothing is set in stone. Change is a constant so never stop improving. Jordan: That’s just good life advice. That transcends marketing. That’s just good for life. You said so many good things today. We got copywriting techniques, best practices for it, social media messages, an inspiring ode to changing our lives here at the end and really an awesome blueprint for that. This has been so good. Thanks so much for being willing to sit in the hot seat and answer some questions today. Nathan: Yeah, Jordan, thanks for turning the tables on me. This was a lot of fun.